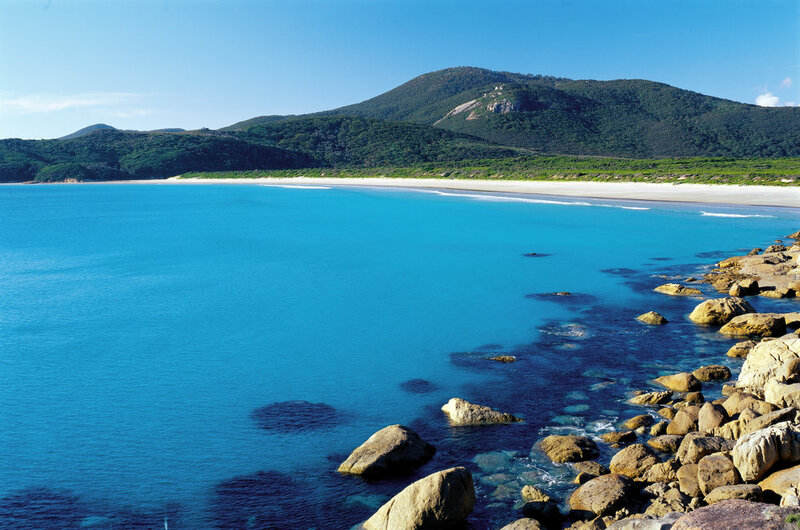 Wilsons Promontory National Park is arguably the most spectacularly beautiful slice of coastal wilderness in Australia. From the open plains teeming with wildlife to rugged mountain ranges plunging in to the sea, "The Prom", as she is affectionately known has a profound effect on the senses. Morning coffee and delicious light brunch at Moos of Meeniyan, our favourite cafe in Gippsland. Highly experienced and accredited field guide with extensive knowledge of the natural environment. We begin with hotel pick ups in Melbourne CBD at 6.40am and our tour departs St Pauls Cathedral corner Flinders and Swanston st at 7am in our Mercedes 12 seat mini coach. As soon as we shed the city boundaries you’ll start to see the green and sometimes gold hills of Gippsland. This is lush farming country, full of dairy-rich treats, big skies and stunning backdrops. On our Prom Coast sojourn, we head south through Gippsland stopping at the delightful village of Meeniyan at around 9am for a delicious morning tea at our favourite Gippsland café restaurant. Back on the road and refreshed we head toward the entry point of the National Park. Shortly after entering the park the opportunity to see wildlife in the wild becomes very real. 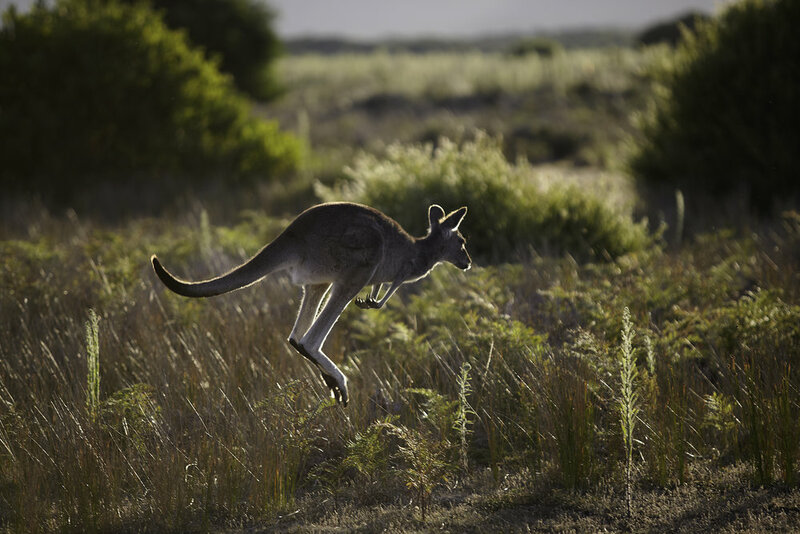 The plains leading up to the mountain range are abundant with kangaroos, emus, wombats, echidnas and sometimes koalas. We make our way to the Tidal River area where we step out of the vehicle and into the wild beauty of The Prom. You will have a range of bushwalking options available to you from short walks around the Tidal River area to a climb to the summit of Mt Oberon. A one hour climb on Mt Oberon or the neighboring Mt Bishop and you will capture the breathtaking views of the ocean and outlying islands from the summit. For those who prefer a more relaxing walk, a stroll through the Lilly Pilly rainforest is a pleasant experience with a variety of forest environments and lovely coastal views. 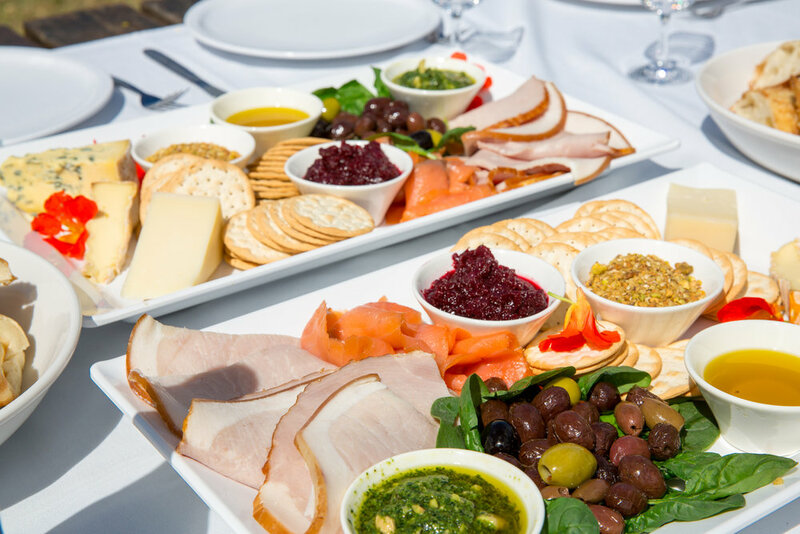 After enjoying a delicious well earned lunch of locally grown and sourced ingredients we explore some of the stunning beaches on offer, a meander along the edge of the tranquil Tidal River or perhaps a swim in the perfect waters of Norman Bay. There is something here for every taste and every level of fitness. After a day spent enjoying this stunning wilderness paradise we know you will not want to leave. You will have looked down upon spectacular views , walked through lush forests and enjoyed the quiet stillness of secluded beaches and peaceful still estuaries. Your tour host will be serving a cup of tea or coffee and a delicious snack in the late afternoon to prepare you for the journey back to Melbourne. We aim to return you to your accommodation by approximately 7.30pm. Wilsons Promontory Marine National park is an underwater paradise. Huge granite cliffs plunge into the sea down to deep reefs covered in sponges. The largest protected marine area in Victoria, the marine national park is home to an array of colourful fish, dolphins and seal and penguin colonies on the islands just off the mainland. During the months from May to June it is common to see whales moving up the coast as they journey to warmer waters to calve before heading back down again around September and October to Antarctic waters. 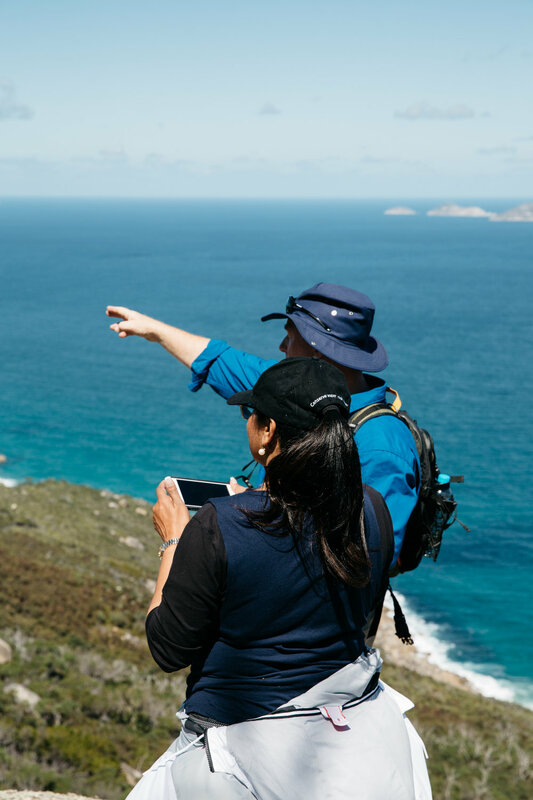 One of the best places in Australia to view wildlife, Wilsons Promontory is home to a wonderful array of native animals. A gentle walk along any of the well maintained and clearly marked walking tracks around the lower areas usually results in a special encounter with a wombat or perhaps a wallaby. Within minutes of entering the National Park you are likely to see a mob of emus and kangaroos grazing near the road and in certain areas within the park koalas can be seen dozing away happily in the trees. The great diversity in habitat at the Prom brings about an incredible variety of birdlife with 272 species recorded inside the park alone. Some of our favourites include the beautiful crimson rosella, lyrebirds, wedge-tailed eagles and of course the little penguin.